There are events that happen in life that kickstart us to make a change, to take a leap of faith and follow our passions. 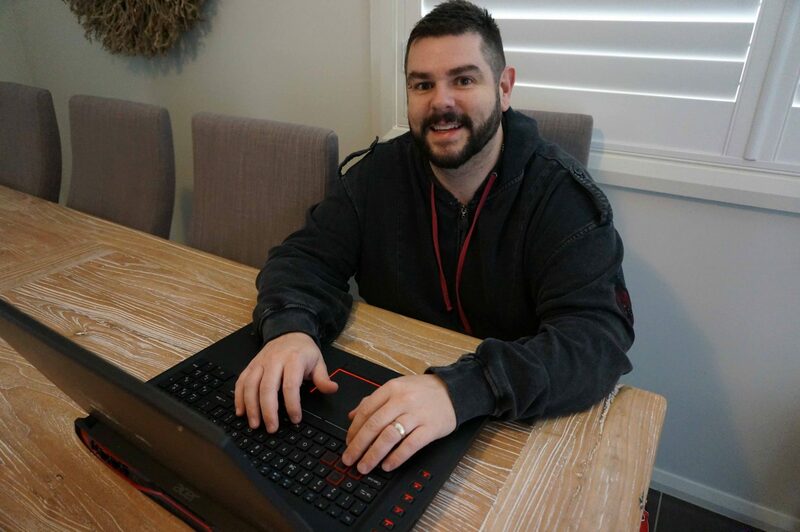 For Clinton McCleary, that was being made redundant, and while it wasn’t an ideal situation financially, it provided McCleary with an opportunity to pursue video game development full-time. After all, it had been a dream of his since for a very long time. Prior to being made redundant from his job as an instructional designer in early 2016, McCleary, a Sydney-based motorbike enthusiast, was learning his craft at the Academy of Interactive Entertainment (AIE), undertaking a Certificate II in Programming, Certificate III in Design and an Advanced Diploma in Game Art, which he began in 2013 and finished in 2018. It was during his studies that McCleary laid down the foundations for his studio’s debut game Infliction – a horror game that released this past Halloween. Video games are typically made by teams of developers ranging from large to small, with each person contributing to the overall collective effort. Infliction, impressively, is a solo effort from McCleary’s one-man studio Caustic Reality – whose official founding date is listed as April 2017, but has origins that date back to January 2016. 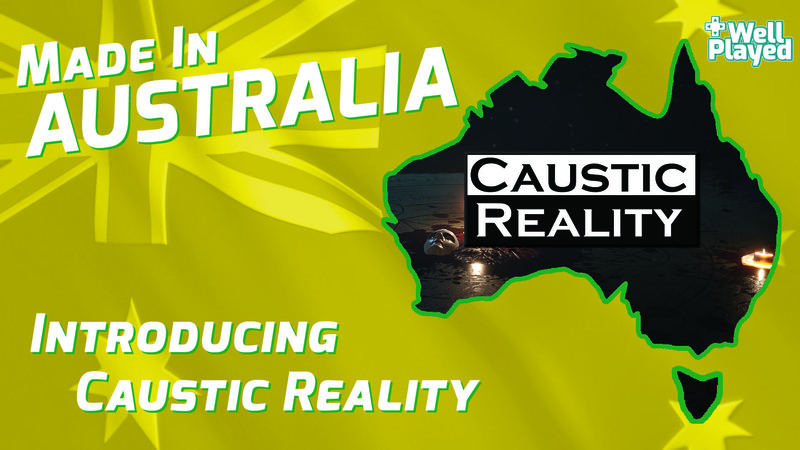 Not only that, but Infliction is McCleary’s first game ever and not simply Caustic Reality’s maiden game. The studio name came to McCleary one night while racking his brain for variants of warped reality or perception. McCleary’s wife Claire agreed that it sounded cool, and after a Google search he snapped up the domain and Caustic Reality was born. ‘When you look into the bottom of a swimming pool on a sunny day and you can see the light refraction dancing on the bottom. That refraction of light is called water caustics. To me Caustic Reality means warped reality which fits me well’, explains McCleary. Development of Infliction began in January of 2016, and with his only experience being a couple of prototypes and a game set in an underwater facility inspired by Half-Life 2 called Aquatica (which you can view an assignment submission below), Infliction is a testament to the hard work and incredible dedication that McCleary has put in since starting his studies in 2013. However, while being a one-man team allows McCleary to have total creative freedom, it’s something that has its fair share of burdens, especially when it comes to time and money. ‘Everything with solo development or game development in general is difficult’, McCleary states. ‘For me, it’s working in isolation not knowing if something is working as I intend it to – because I’m the only one looking at it – and I’m really critical of my own work, as we all are’. ‘I’d describe game development as professional creative problem-solving. Being solo and self-funded means that everything is done scrappy. Sometimes that makes a creation more appealing’. McCleary confesses that due to working from home he found it hard to find the right work/life balance – in fact working from home gave him more reason to prioritise Infliction over his long-term health, working 110-hour weeks in the final eight weeks of the game’s development. ‘My brain doesn’t really switch off and I often feel I can’t ever really relax. If I’m lying awake in bed and I think of an idea or solution to a problem, I’m likely to jump out of bed and implement it’. Despite the hectic workload, McCleary admits that he wouldn’t have come out the other side a sane man without his understanding and loving wife Claire. ‘She is my superhero, my best friend and the best wife a developer could ask for’, McCleary smiles. ‘It’s been a trying few years. I think it was easier for her when I was working full time for the first 18 months of development, because there was money coming in, I was available weekends/evenings and not in the house with her 24/7!’. 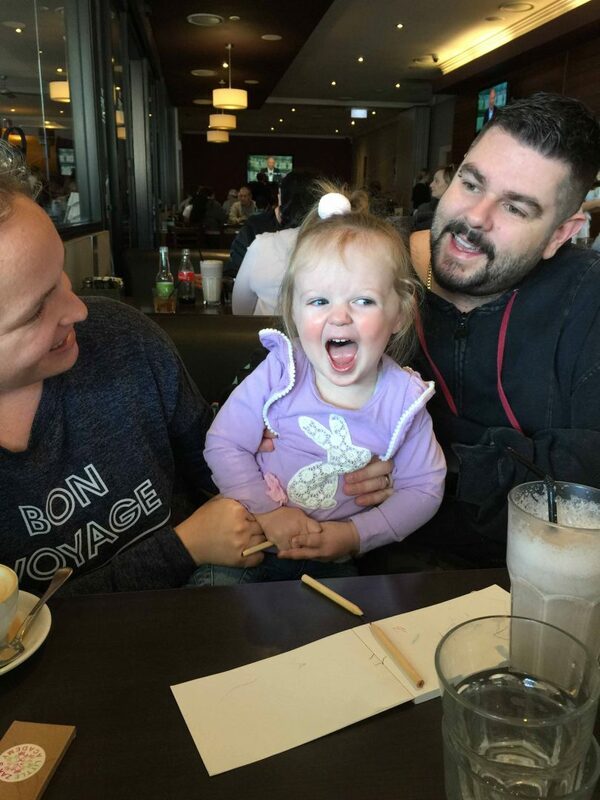 It was shortly after Claire gave birth to their daughter Charlotte – near the beginning of Infliction’s development – that everything changed, with McCleary being made redundant. While this meant that both of Charlotte’s parents were home during the day, it also meant that the family didn’t have a steady income, a worrying prospect for any family, especially one with a young daughter. However, despite the challenges that lay ahead, Claire, who Clinton reveals isn’t a gamer and hasn’t played Infliction but does have a voice acting part in the games (as does baby Charlotte), stood by her man and took care of both him and Charlotte while Clinton turned his dream into a reality. ‘For the last 12 months it became a 12-16-hour day, 7-days-a-week gig’, McCleary states. ‘That takes guts, love and determination to see that kind of situation through to its conclusion. I think a lesser woman may have called it there, but she really stuck by me. I feel like we could tackle anything now’. However, despite his own self-imposed crunch, it’s not something that McCleary recommends. ‘I’d avoid it at all costs next time around if I can because I still haven’t fully recovered from the burnout caused by my own choices and schedule’, McCleary confesses. ‘Do I think working those hours are acceptable in a studio setting, where you feel obligated or expected to crunch? Well, that depends. I don’t think a studio should ever expect its staff to work those hours. So, if a studio is imposing that on anyone, that’s wrong on every level’. ‘If the work can’t be completed in time, hire more people or give more time. If the developers choose to work those hours and get paid overtime for it, that’s their call – but they need supervision to evaluate if they’re just hurting the project in the long run by burning out’. The effects of crunch on long-term health are why separating work and home life is a priority for McCleary in the future, with the goal to have an office that will allow him to switch off from video game design when it’s time to go home. Meaning that he’ll get to spend more time with his wife and daughter, but also catching up on games he’s missed over the past few years while developing Infliction. ‘At the start of a project I’m not crunching but I’m so excited about what I’m making, I end up doing it all night’, McCleary states. ‘Then as development goes on you have less and less time. I generally feel guilty that I’m not using that time to make something of my own if I’m playing a game for fun’. While McCleary owes a lot to his wife Claire for her support during the game’s development, his support network wasn’t limited to his wife, with his good friend Craig Bentick, who has worked for big names such as Sega, Creative Assembly and Pandemic Studios always willing to lend a hand. ‘Every dev needs someone to bounce an idea off, or be pointed in the right direction on a problem’. ‘Craig has been in the industry for a long time. He is always my go-to when I’m banging my head against the wall of a problem’, continues McCleary. McCleary also acknowledges the contributions that Peter Chown made in regards to testing and admits that the game wouldn’t have been of the same quality without him. Like most indie games, funding is always an ongoing challenge, with McCleary admitting that running out of funds is great motivation to get your game out the door. However, if funds had permitted, he would have liked to have worked on Infliction for another year. Although he acknowledges that the game would have been only marginally better, and that time would have been better spent on new projects. ‘As a creator, your work is never truly done but we all need to learn discipline to release our projects’, McCleary states. McCleary laments New South Wales’ lack of video game funding grants, something that he admits would have changed his life and made Infliction – or future projects – even better. Instead, Infliction was funded almost entirely by personal savings, and with a family to support it was tough, especially given McCleary couldn’t meet the criteria for unemployment benefits. ‘When I was made redundant and chose to develop Infliction solo, I couldn’t even receive unemployment benefits because I didn’t have time to fulfil their requirements – given I already work full time on the game’, McCleary reveals. ‘If I had to work part-time on the game to be on benefits, I might as well earn more and just get another job’. Thankfully the project got a cash injection towards the end of the game’s development from a successful Kickstarter campaign, an idea that was put forward by his marketing team Lumi Consulting in Melbourne. McCleary was hesitant of the idea initially, but Lauren Clinnick and the Lumi team were confident that this was the right move and were excited about the marketing opportunities that could open up, plus it would create a community for the game, something that it didn’t have previously. After much deliberation, McCleary was convinced and on board, and in hindsight acknowledges he made the right call. ‘The main thing this funding represented to me was the ability to hire an animator to help during the final month of polish’, admits McCleary. ‘I think Infliction is a much better game today because of the additional funding, and a community that cares about not only about the future of Infliction but also my future as a developer’. ‘Not only did they help my morale, but they championed the game. Without them the launch wouldn’t have been as great as it was’. Given the risks associated with crowdfunding projects, there’s still an element of trepidation from the general public thanks to a lot of what-ifs. McCleary believes the reason his campaign was successful is that the game was basically finished when the campaign launched – it was a tangible product with a playable demo available opposed to a bunch of concept art and ambitious ideas. ‘There is something to be said for a campaign requesting funds to make a finished game better over requesting funds to start a game that doesn’t exist yet’, says McCleary. Once a project is funded it’s important that the backers are kept in the loop and feel like a significant part of the project, because without them it wouldn’t have been possible explains McCleary. Despite the stigma associated with crowdfunding, McCleary admits he would use the platform again if it was right for the project. ‘I’d never go into something like that unless I was sure that I could pull it off’, he says. ‘I’m a planner, and it’s worked out well so far. Sure, there are no guarantees in life but I’d do everything in my power to deliver on a promise (and be careful about what I promise!) because that’s who I am, and hopefully I’ve proven that with this campaign and Infliction’. 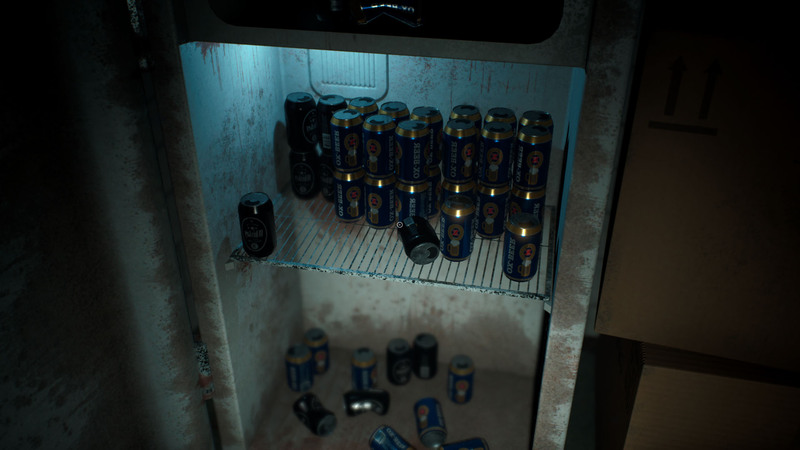 McCleary’s characteristics have embodied his work, with Infliction going from strength to strength since its release, with critics and players praising the game for its impressive and unsettling horror experience. 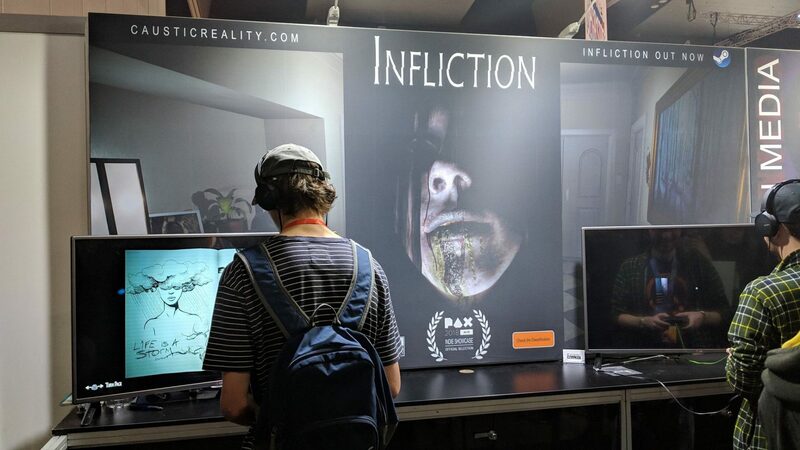 Infliction was also chosen as one of the six titles to be a part of the PAX Australia Indie Showcase, an achievement that proved all of McCleary’s hard work was worth it. ‘I was in shock first, then came excitement, then fear, but mostly I felt vindicated in that what I was making was well-regarded and not trash’, McCleary shares. ‘The judging panel for PAX Aus was the first to play an early build of the full game. It really put wind in my sails and afforded me the motivation to complete the project. It was a very humbling moment for me’. 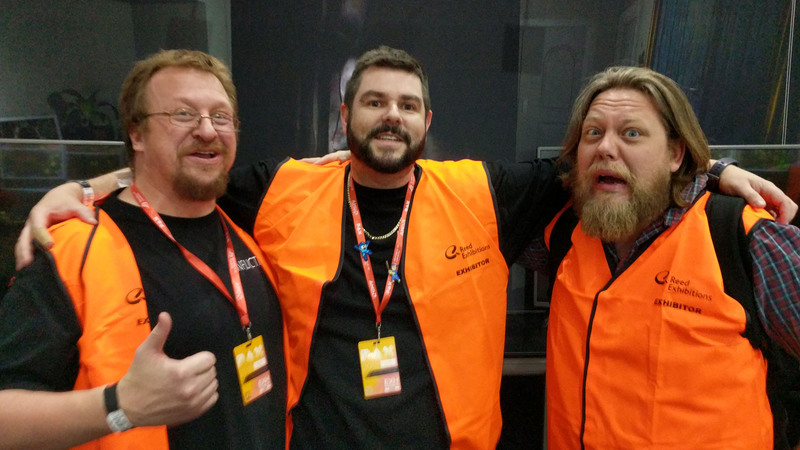 PAX Aus 2018 was also McCleary’s first appearance at Australia’s premier gaming convention, confessing that he didn’t feel like Infliction was good enough to show at the previous year’s event. But with the goal always to launch around Halloween, the stars well and truly aligned this year. So how did a 38-year-old motorbike-loving family man find his way into video game development? McCleary admits that the path that led him to video game development was somewhat unconventional. It’s something he can thank his friends for, with none of his friends interested in gaming, as well as Ubisoft’s Far Cry series and IGN’s Podcast Beyond. ‘I was playing the Far Cry 3 level editor while listening to Podcast Beyond some time in 2013 and it struck me that I had no friends that are interested in games’, reveals McCleary. ‘I thought to myself I need a circle of friends that are just like the dudes on this podcast, so I could have my own conversations. Based on their recommendation I tried Gone Home and was blown away by the environmental story that I was uncovering without being told the tale in the traditional sense’. This was the catalyst for McCleary downloading the Unity game engine and attempting to teach himself via a massive textbook. However, the book approach was deemed a failure, and as a result McCleary sought more traditional avenues of study. His job as at the time as a training designer for a telco allowed him to tie the two together, affording him some leniency to study while working. While Far Cry and Gone Home may have been the clinchers, McCleary’s earliest exposure to video games were classics like Pong and Asteroids on the Atari 2600, NES games such as The Legend of Zelda and Zelda II: The Adventures of Link, and Arcade fighters Street Fighter II and Final Fight. However, the one game that blew McCleary’s young mind and the game he credits as the true ignitor of his passion for video games is Super Mario Bros.
For McCleary, becoming immersed in someone else’s world is what he loves most about playing video games. ‘Once everyone else is in bed and the world is quiet, I get to be someone else in a world I can get lost in’. It’s no surprise then that some of his favourite games are epic adventures like The Witcher 3: Wild Hunt and the Fallout and Elder Scrolls series. But while McCleary enjoys sinking his teeth into long and dense worlds, he also enjoys short and tightknit experiences like Gone Home and Firewatch for their storytelling elements. As a developer though, McCleary loves environmental storytelling – allowing players to dive deeper into the lore of the world – which makes the experience feel more believable. McCleary also loves developing as a creative outlet. ‘I’m not bound by anything and I can make literally anything I can imagine, no matter how warped it may be’, McCleary divulges. While McCleary’s roots are entrenched in the horror genre – largely because of his penchant for horror films as opposed to horror games – he admits that he’ll branch out into other genres, although horror elements will always feature in his projects in some capacity. ‘I think my work will always have a certain feel to it, and horror elements will be present in so much of what I do because it’s a big part of what I enjoy creatively’, says McCleary. ‘For me, it’s less about genre and more about how I express myself or what makes my creation mine. I think you could expect to see a change in setting or gameplay, but story and worldbuilding will always be present in anything I do because that’s what I truly enjoy. If that happens to be horror, then I’ll be back in the genre’. While Infliction was predominately a one-man effort, McCleary is open to expanding Caustic Reality for future projects but admits that in order to have the resources to do so requires some amount of success. It again raises the issue of Australia’s need for the government to get on board and help indies and start-ups get funding, as well as making it more enticing for larger studios to set up shop Down Under. ‘I think Australia has so much talent’, McCleary exclaims. ‘Some of that talent is doing amazing things, while others can’t grow their talent because work isn’t easy to come by without moving overseas. If the government would make it viable for larger game studios to open here, it would be good news for everyone’. ‘Organisations like Film Victoria support the Victorian game developers very well and they’re the envy of Australia. Melbourne has an amazing local industry, helped by that kind of support. I heard that W.A. just got a funding system recently, so I feel like we’re heading in the right direction – but in my view the government needs to do more to make owning a studio here appealing from a tax benefit perspective’. McCleary has come a long way and learnt a lot since the humble beginnings in 2013 to the launch of Infliction, most importantly that it’s essential to be open to constructive feedback and that you’re going to please everyone all the time. ‘Haters gonna hate’, McCleary laughs. ‘Folks that hate whatever you’re doing, they’re not your audience and they’re not worth your time so don’t worry about it’. However, McCleary believes that the gaming community’s passion comes from a love for the medium. ‘Fans of anything, be it movies, games, music, whatever, are lovers of the thing they choose to consume’, says McCleary. ‘I think the passion comes from a place of love, respect, expectations, hopes and dreams. It’s important to remember that these communities are the very same that provide me with the feedback I need to make improvements to Infliction’. Is this not the tastiest looking video game beer you’ve ever seen? While McCleary is no industry veteran, he says that it’s important for any upcoming developer to think about the business side of things early doors – such as marketing. ‘Things like marketing can’t be effective if you’re calling a marketing team five days before launch for help’, he states. ‘Think about what your goals are, and what you have to do to reach those goals. Make a website, start a blog and chronicle your journey, start your social media following early and experiment. Development is a fun hobby, but if you want it to be more you need to consider what it’ll take to get there’. 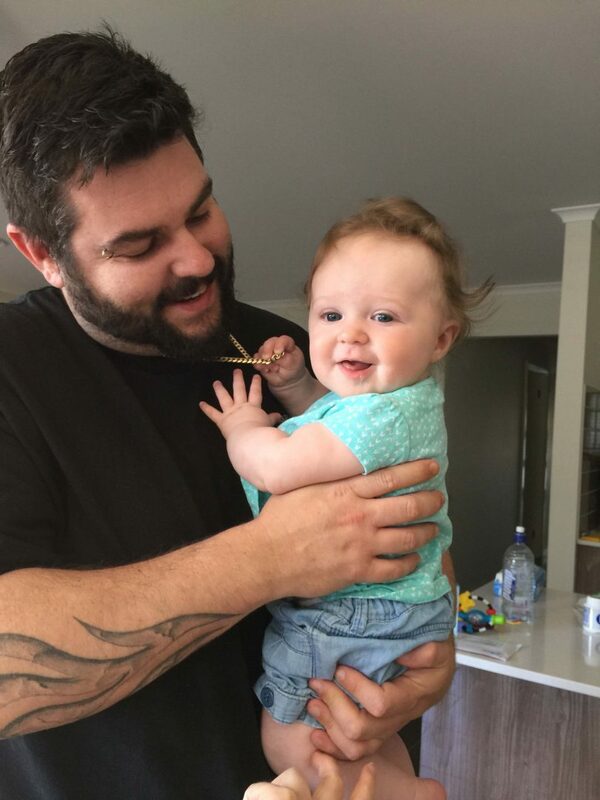 Away from the trials and tribulations of video game design Clinton McCleary is just like any other family man. He enjoys cozying up on the couch with his wife watching Netflix (Haunting of Hill House gets a thumbs up), hanging out with his daughter in the park, and seeing his parents or going out for lunch as a family on the weekends. Furthermore, he’s looking to put his feet up and get lost in Red Dead Redemption 2, as well as having a quiet Crown Lager at Christmas (the only time he drinks) – not a Foster’s like Infliction would have us believe. ‘The Foster’s resemblance in Infliction isn’t a mistake though. I wanted to resemble a brand true to my Australian roots that I know Americans drink (given that’s where the game is set)’, McCleary explains. ‘Unfortunately, there are still only eight Fosters drinkers in Australia (laughs). But this Christmas, I’ll try one for the first time’. Despite McCleary’s questionable taste in beer, there’s no denying that he has a bright future ahead of him as a developer, especially given he has the self-belief to back himself in and have a crack at achieving his dreams. With this kind of ethos who knows how far Caustic Reality and McCleary can go. But one thing is for sure, we can’t wait to see what see what comes next. For more information on Infliction check out our interview and review.